About Odyssey Babasadeghian : Odyssey Babasadeghian was born on May 14 1982 in Gorgan/Iran. After graduating from Hamedan Azad University college of Architecture in 2005 she took second place in Master Exam of Islamic Azad University and entered Tehran Central branch college of Art & Architecture, and gained a Master’s Degree in Architecture in 2007. During her master courses, she started consistently and purposefully working in architectural companies and this way she gains professional experience to work independently. In 2010 she co-founded her first company Shavmadbana and continued her professional activity in four domains of Architecture, Interior Design, Land Scape and Urban design. Shavmadbana has founded in Tehran, it is now a countrywide practice, with projects in more than 10 states. Over the past five years the company has been responsible for a strikingly wide range of work, from urban master plans, civic and cultural buildings, offices and workplaces to private houses and Interior design. Odyssey Babasadeghian has also, teaching architecture courses in Islamic Azad University of Gorgan and During these years she wrote many articles and papers about architecture that show her main concern about quality of contemporary Architecture she names Here-Now Style. For me: Art is proof of the uncertainty of science. the glorious possibility of anything in the universe and it depicts unlimited mind of us. 2000, Architecture, BA, Islamic Azad University, HAMEDAN/IRAN. 2005, Architecture, MA, Islamic Azad University, TEHRAN/IRAN. 2007, Architect, Armanshahr Architecture and Urban design Consultant, TEHRAN/IRAN. 2010, Architect, Maher v Hamkaran Architecture Consultant, TEHRAN/IRAN. 2011, Design Director, Parsomash Architecture Consultant, TEHRAN/IRAN. 2012, Design Director, Tarh o Saze Caspian Architecture Consultant, TEHRAN/IRAN. 2015, Design Director, Axis Architecture Firm, TEHRAN/IRAN. 2014, Engineer women Art works, Construction Engineering Organization Gallery, TEHRAN/IRAN. 2011, "Advanced Course on Energy and Architecture", participant, university of tehran, TEHRAN/IRAN. 2011, "Architecture Dialogues", participant, International Art & Architecture Research Association in tehran, TEHRAN/IRAN. 2015, "Axis Architecture Firm unit", Designer, International ‌Building Exhibition, TEHRAN/IRAN. 2014, favoriate article, Tehran international Award, TEHRAN/IRAN. 2015, Poor housing design based on approach to user participation, first national congress of residential Architecture, Technical and Vocational Institute, MALAYER/IRAN, 93/47/7568. 2015,A comparative study of the effects of Darab Diba and Hadi Mirmiran to provide solutions for the revitalization of Iranian identity in contemporary architecture, First National Conference Of Urban planning' Urban management and Sustainable Development,cultural heritage organization, TEHRAN/IRAN, uusd10116521018. 2015, Examine how is the interaction between new technologies and Index of vernacular architecture of Iran, The Second National Conference of Architecture' Construction and Urban Environment, Hegmatane Environmental Assessment, HAMEDAN/IRAN, HN10103420115. 2015, Relationship Between Architecture identifiers and Human senses, International Congress in Sustainability on architecture and urbanism-masdar city, Association of Iranian Architects, DUBAI/UAE. 2015, On the effect of environmental attributes of atelier on the creativity of art collegian, International Congress in Sustainability on architecture and urbanism-masdar city, Association of Iranian Architects, DUBAI/UAE. 2014, "Ron" first step in sustainable Iranian urbanization, 7th international Festival of Research & Innovation and Conference on urban Management, Tehran centre of studies and planning, TEHRAN/IRAN. Art University of Tabriz, TABRIZ/IRAN, CCCCKEEDFCF. 2009, assistant Professor, Islamic Azad University, GORGAN/IRAN. 2011, "Advanced Course on Energy and Architecture", university of tehran, TEHRAN/IRAN. 2011, "Architecture Dialogues", International Art & Architecture Research Association in tehran, TEHRAN/IRAN. 2015, "first national congress of residential Architecture, Technical and Vocational Institute", MALAYER/IRAN. 2015, "First National Conference Of Urban planning' Urban management and Sustainable Development", cultural heritage organization, TEHRAN/IRAN. 2015, "The Second National Conference of Architecture' Construction and Urban Environment", Hegmatane Environmental Assessment, HAMEDAN/IRAN. 2015, "International Congress in Sustainability on architecture and urbanism-masdar city", Association of Iranian Architects, DUBAI/UAE. 2014, "7th international Festival of Research & Innovation and Conference on urban Management", Tehran centre of studies and planning, TEHRAN/IRAN. 2014, "2nd International Congress On Structure' Architecture & Urban Development", Art University of Tabriz, TABRIZ/IRAN. 2014, "Symposium on Third Millennium Design", DESIGNER Architectural Media, TEHRAN/IRAN. 2007, Construction Engineering Organization, TEHRAN/IRAN. 2010, Association of iranian architects, TEHRAN/IRAN. 2011, Architecture Centre of Iran, TEHRAN/IRAN. 2012, Contemporary Architecture of Iran, TEHRAN/IRAN. 2007, Aghili private Collection of Painting in GHahvekhanei style, TEHRAN/IRAN. 2009, Islamic Azad University, GORGAN/IRAN. Drawing, Sketching, Painting, Making maquette, Taking Photo, Dancing, Watching Movie, Walking, Swimming, Cooking, going out with friends. 2007, dr sadati, architectural design and rehabilitation of 3floor apartment,clardasht. 2007,mr kasai, architectural design of 10floor apartment, shiraz. 2007, mr jahangiri, architectural design of 3floor villa, dayyer port,booshehr. 2007, mr azizian, architectural, design of 3floor villa, lavasan, tehran. 2008, armanshahr consultant, architectural design of 600 unit residential complex for employees of sarcheshmeh coperative copper, rafsanjan. 2008, armanshahr consultant, architectural design of residential units in earthquake-stricken area of bam, kerman. 2008, parsomash consultant, architectural design of mehr housing’s 400 unit’s residential complex in ravansar, kermanshah. 2008, mr yazdanpanah, architectural design of 4floor residential apartment, karaj. 2008, mr mozayyani, architectural design of 3floor villa, nosher,mazandaran. 2009, mr zahedi rad, architectural design of 8floor apartment, fatemi st, tehran. 2009, tarn o saze consultant, architectural design of setayesh 300 unit’s residential complex,khorram abad. 2009, tarn o saze consultant, architectural design of residential suites for engineers of tehran’s seventh water treatment plant, varamin. 2009, armanshahr consultant, architectural design of a tourist complex including a resturant, cafe, parking lot, an artificial lake, a chapel, bathrooms, resorts, traveler’s suits, buffet and outdoors for project of tourism regional strategic plan of gharesoo, kalat naderi. 2009, armanshahr consultant, architectural design of a tourist complex including a resturant, cafe, parking lot, an artificial lake, a chapel, bathrooms, resorts, traveler’s suits, buffet, playgrounds, children’s play area and outdoors for project of tourism regional strategic plan of tarar, isfahan. 2010, parsomash consultant, landscape and urban furniture design of kianpars street, ahvaz. 2010,tarh o saze consultant, architectural design and layout of rasht public bathrooms, rasht. 2010, parsomash consultan, strategic plan design for gorgan. 2010,parsomash consultan, strategic plan design for kazeroon.1. interior 2010, mr babasadeghian, design of duplex apartment,gorgan. 2010, mr abdolvand, interior design of gap resturant and coffeshop, ab o atash park, tehran. 2010, mr yazdanpanah, design of residential apartment, karaj. 2010, mr benamare, interior design of office in alsaba tower, dubai. 2010, tarh o saze consultant, interior design of seyedoshohada mosque’s nave, tehran. 2011, mr yazdanpanah, design of office, motahhari st, tehran. 2011, mr dolatabadi, interior design of office, mirdamad commercial complex, tehran. 2011, mr mozayyani, design of 3floor villa, noshahr. 2012, mr ghorban nejad, interior design of duplex villa, kelardasht. 2012, armanshahr consultant, architectural design of sasan commercial complex, 12 region, tehran. 2012, armanshahr consultant, architectural design of rafsanjan’s facalty of medical sciences, rafsanjan. 2012, armanshahr consultant, architectural design of farhangian hotel, mashhad. 2013, armanshahr consultant, architectural design of facalty of medical sciensce’s self-service, rafsanjan. 2013, mr azizian, design of complex including a pool, sauna and jacuzzi for naz residential complex, darband, tehran. 2013, maher v hamkaran consultant, design of artesh’s 50bed hospital, ahvaz. 2013, mr abdolvand, design and renovation of gap resturant, aboatash park, tehran. 2014, tarn o saze consultant, design of six fruit and vegtable markets complexs, tehran. 2014,tarn o saze consultant, design of seyedoshohada mosque,tehran. 2014, tarn o saze consultant, design of pardis hall, khoram abad. 2015, tarn o saze consultant, architectural design of pardis commercial complex, khoram abad. 2015, tarn o saze consultant, design of mehr fire station, rasht. 2015, tarn o saze consultant, architectural design of applied research centre of south water treatment plant, tehran. 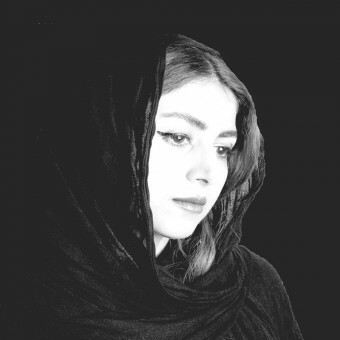 Press Members: Request an exclusive interview with Odyssey Babasadeghian.